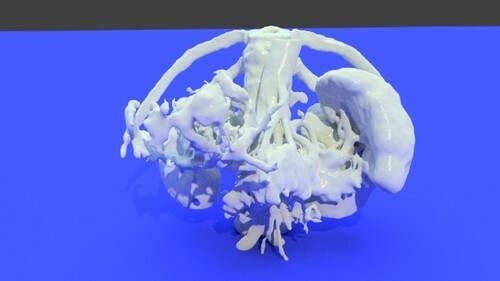 This 3D printable STL file contains a model of the right kidney was derived from a medical CT scan. It shows the renal collecting system clearly. 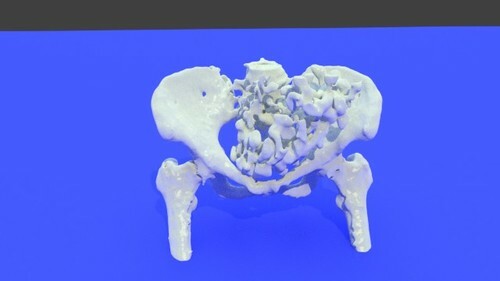 This 3D printable model of pelvis was derived from the CT scan of a 83 year old female. Enteric contrast that was inside the bowel can be seen in the pelvis. 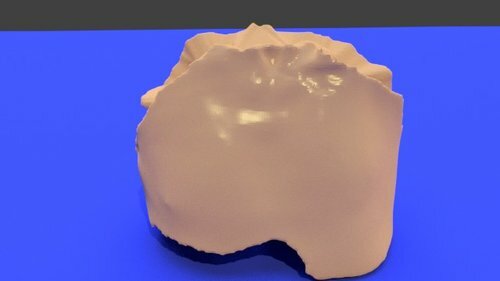 This 3D printable STL model of the liver of a 62 year old woman with hepatocellular carcinoma shows a large tumor in the liver. The liver, spleen and both kidneys along with the arteries are well shown. 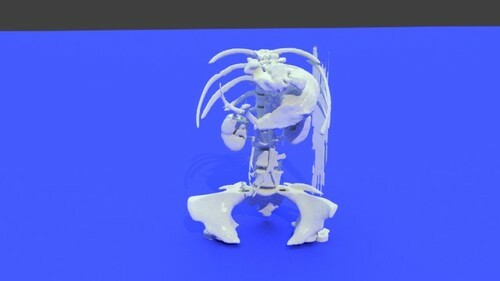 This model was generated using the democratiz3D service. Pneumonia is a common lung infection caused by bacteria, a virus or fungi. Pneumonia is an inflammatory condition of the lung affecting primarily the microscopic air sacs known as alveoli. It is often spread via coughing, sneezing, or even breathing. Most healthy people recover from pneumonia in one to three weeks, but pneumonia can be life-threatening. Pneumonia affects approximately 450 million people globally per year (7% of the population) and results in about 4 million deaths. 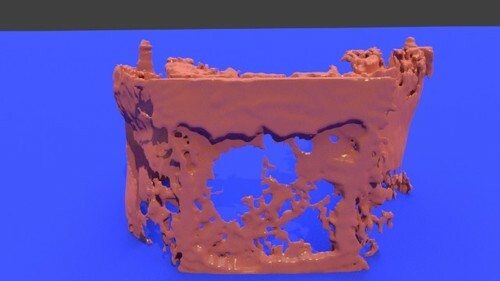 There are three STL files available for download and 3D bioprinting. 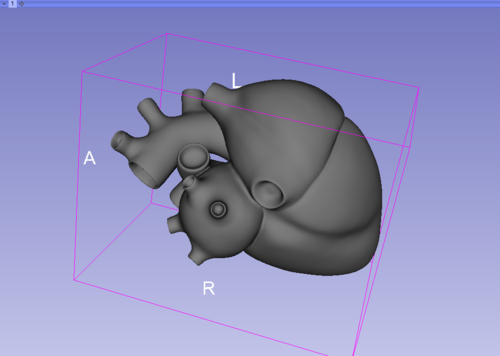 One STL file for 3D printing the lung, A second STL file for printing the tissue presenting as pneumonia and a third file for printing the airway. All three files have been zipped to reduce the file size. You will need to unzip the files once you have downloaded them.These files are distributed under the Creative Commons license Attribution-NonCommercial-NoDerivs. Please respect the terms of the licensing agreement. Chronic kidney disease is the progressive loss of kidney function over a period of months or years. It is estimated that chronic kidney disease affects five to ten percent of world population. Chronic kidney disease is also known as chronic renal disease and affects about 26 million American adults and millions of others are at increased risk. Risk factors for chronic kidney disease include diabetes and high blood pressure. As kidney disease gets worse, wastes build to high levels in blood and make people feel sick. They may develop complications like high blood pressure, anemia, weak bones, poor nutritional health and nerve damage. Also, kidney disease increases the risk of having heart and blood vessel disease. These problems may happen slowly over a long period of time. Chronic kidney disease may be caused by diabetes, high blood pressure and other disorders. Early detection and treatment can often keep chronic kidney disease from getting worse.Glomerular filtration rate (GFR) is the best test to measure kidney function and GFR is used to determine the stage of kidney disease. 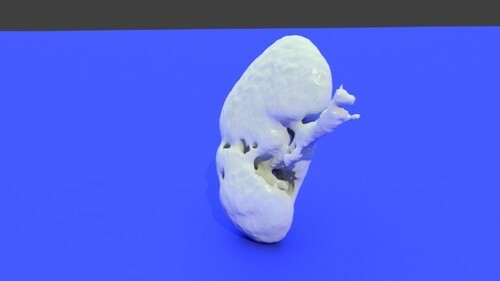 These kidney models are provided for distribution on embodi3D.com with the permission of the creators Dr. Beth Ripley and Dr. Tatiana. These models are part of the Top 10 Killers 3D printable disease library. James Weaver and Ahmed Hosny also contributed to the project. We thank everyone involved for their contributions to embodi3d.com and their advocacy for better health and education through 3D printing. There are several kidney STL files to download. One set of files is for bioprinting a normal kidney. 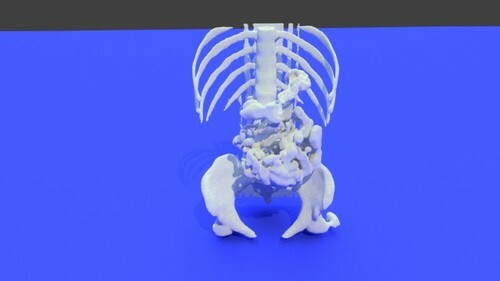 The other set of files is for 3D printing a model representing chronic kidney disease including files for abnormal ureters and cortex. The files have been zipped to save space and speed up downloads. These files are distributed under the Creative Commons license Attribution-NonCommercial-NoDerivs. Please respect the terms of the licensing agreement. Chronic obstructive pulmonary disease (COPD), is a progressive disease that makes it hard to breathe. COPD can cause coughing that produces large amounts of mucus, wheezing, shortness of breath, chest tightness, and other symptoms. Cigarette smoking is the leading cause of COPD. COPD is a major cause of disability, and it's the third leading cause of death in the United States. Currently, millions of people are diagnosed with COPD. There are six lung STL files for download and 3D bioprinting. Three STL files are for a normal lung and three for a lung with COPD. These files are distributed under the Creative Commons license Attribution-NonCommercial-NoDerivs. Please respect the terms of the licensing agreement. The modeling was made as a part of my thesis. I did not try to print this. If you do, please send me a picture. This anatomically accurate colon was extracted from a CT DICOM dataset (0.8 mm slice thickness x 467 slices). 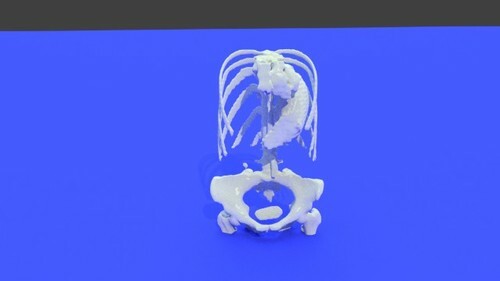 The model may be useful for medical education and shows shows the cecum, appendix and overall layout of the small and large bowel. The files (two halves of the model) are in STL format and compressed with ZIP.